Are You Worrying Too Much About Your Opponent? How do play against a tough opponent? What is your focus as you prepare for a big soccer game against a strong team? One way of getting ready for an opponent is to scout the opposing team, get intel from other players and coaches or watch your opponent during warm-ups. 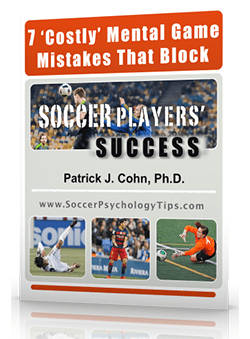 These methods can provide useful insights as to the opponent’s tendencies during soccer games and help with the development of a game strategy. While it is true that scouting can prove beneficial, focusing too much on the opposing team will detract from your game. If you focus too much on the opposing team’s strengths, you might be hesitant to play the way you normally play the game. 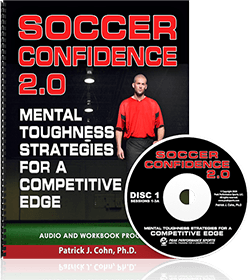 When you are too focused on your opponent’s strengths, it will detract from your overall confidence and take your focus away from what you need to do each moment as the game unfolds. 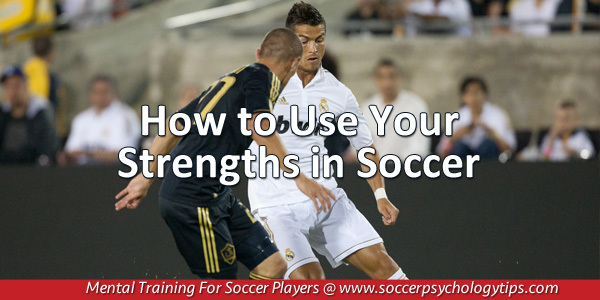 In order to play soccer at peak levels, you need to focus on your strengths and what you do well while taking into consideration the opposing team’s style of play. The Cougars were looking to turn around their season as they entered the game with a 2-4-3 record and BYU assistant, Brent Anderson, spent 11 seasons as the head coach at Utah Valley. Though BYU had some good inside information as to the tendencies of Utah Valley, the Cougars were more focused on their game and committed to play to their strengths. BYU sophomore defender, Alyssa Jefferson, and her teammates are very familiar with Utah Valley’s personnel. The takeaway from Jefferson is clear: focus on your game, be immersed in the present moment (or playing in the NOW) and compete from your strengths to maintain a high level of confidence. Review past practices, scrimmages and games where you played at a high level. Identify and write down, in a notebook, the things you do well. Enlist the help from your coaches, teammates and parents to point out additional strengths. This is your strength profile. Prior to every game, find a quiet place to read and review these strengths. This will help you focus on what you do rather than the strengths of your opponents.